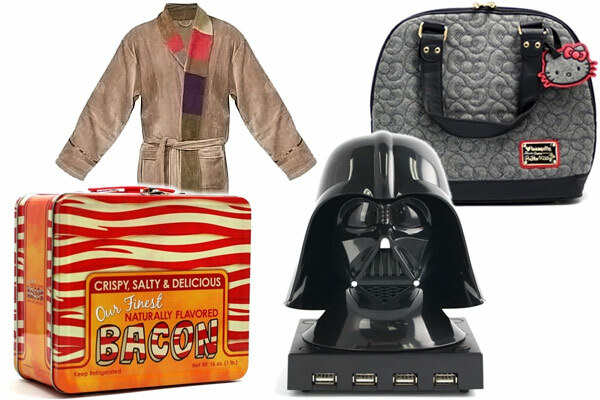 Want some of the cool items posted about on GeekAlerts, like the Fourth Doctor Robe or the Darth Vader USB Hub, but don’t have any money? 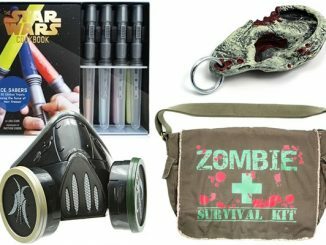 Take part in this Awesome Products Giveaway from GeekAlerts.com and you could win those or other cool items of your choice. 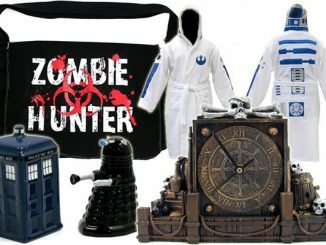 Yep, if you win this sweepstakes you’ll be able to select items like toys, gadgets, t-shirts, and gifts related to Dr. Who, Star Wars, Star Trek, Cthulhu, bacon, zombies, pirates, and more because in this giveaway the winner will be able to select prizes from any category at Neatoshop.com. Since you can pick your own prize if you win this giveaway, visit Neatoshop right now to browse their product selection. Pick at least one item you want to get if you win and post it as a comment to this page. Then use the Rafflecopter Giveaway form below to earn/activate your entries. If you are the lucky winner randomly selected from the entries at the end of this giveaway, you’ll have an $80 budget towards the purchase of up to 3 in-stock items from Neatoshop.com. Don’t worry, shipping is covered too! This sweepstakes is open to everyone 18 years of age or older world-wide, and you can earn up to 8 entries. You must enter by December 25, 2012 12:01 AM EST. The bacon socks are pretty amazing. 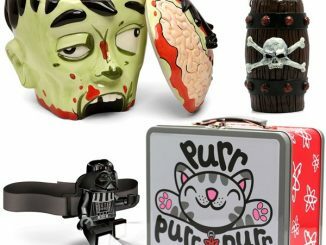 Torn between Persephone – Frankenweenie Plush Hat and the Deadpool hoodie. Too much STUFF!!! I would love the TARDIS Ceramic Cookie Jar from Doctor Who. this would look great in the yard with the zombie flamingos i am getting!! 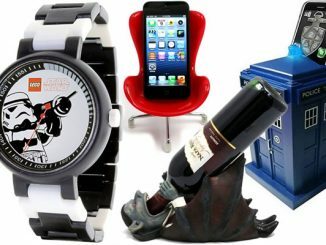 I’m eyeing the ceramic TARDIS cookie jar. An Enterprise Star Trek Wall Clock would be the perfect addition to my Fan Themed Man Room! Lastly, a TARDIS Safe so that I can dump my loose change in and save up to buy other cool items from the Neato Shop! I need to cuddle this. If the bathrobe is out of stock. I love the Pizza Peddler pizza cutter! If I won these are the 3 products I would love to have.. So much to choose from! 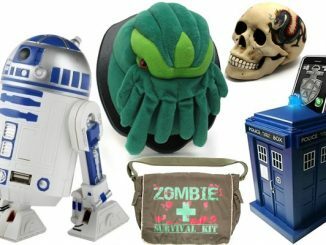 R2-D2 USB hub, skull candy dish, jack skellington resin bank, and a star wars lightsaber flashlight. LOL- looks like a christmas list for santa!! There are right now 10 tabs I opened but I had to pick 3, so there you go :D.
Oh Please Please Pretty Please!! 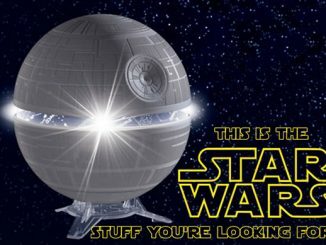 Tons of cool stuff! 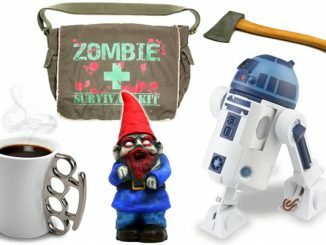 The Zombie Pencil Holder looks awesome!! 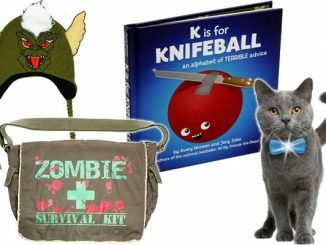 All the zombie stuff is cool. – Battle Damage t shirt! 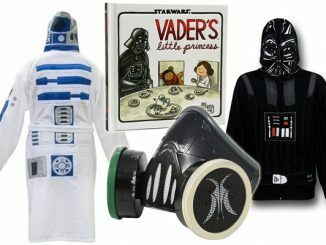 Seeing that my 3 year old son loves Star Wars (yes I’m very proud of that) I would get him all starwars stuff. 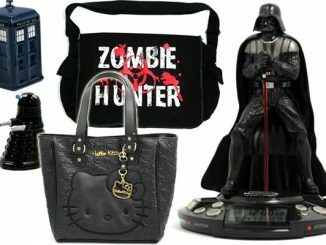 Plush toys, statues, any thing with Vader on it. Ship Shape – Pencil Case, Captian America – Mighty Wallet, and Captain America – Bust Bank. Hehe Captain America is my favorite. The Light Sabre room light would make my little man pretty happy or I’d love tardis safe! I would love any of the shirts! Anything doctor who makes me incredibly happy. Skull spooky sipper. inexpensive, i know. but ill look so posh sitting at my desk sipping from it. The doctor, the slippers, the t-shirts. I love plushies… and The Nightmare Before Christmas. 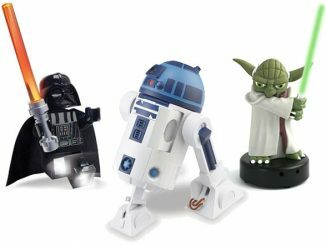 If I win I would love the Lego star wars characters. Thanks so much.